Bödvar’s first nemesis was the terrible giant bear Grothnar, his own brother. 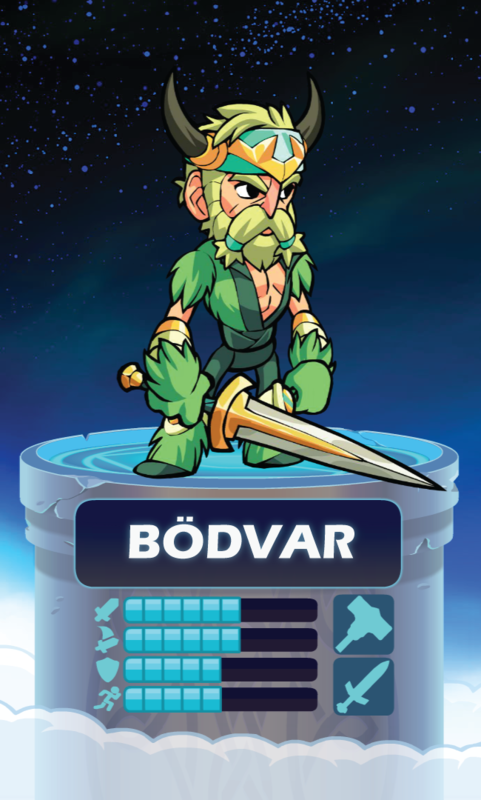 By defeating Grothnar in a battle that lasted seven days, Bödvar chose to side with humanity and became the protector of the people of the north. He led his Skandian people against the Witch Queen of Helheim, slew the White Dragon Sorcerer, and lived the life of an all-conquering hero. Valhalla is everything Bödvar hoped – an endless reward of feasting and fighting, with himself among its greatest champions.